Have you considered the impact cutting-edge design can have on your website success? A much-missed opportunity in the Life Science community. We are first and foremost a creative design agency. Our strength is innovative and inspiring Life Science web design for organisations like yours. Breathtaking Life Science creative design is critical to the success of your digital engagement. Visual and structural design, working in harmony, can quickly make a significant impact on your engagement and conversions. Understanding the design needs of the Life Science community is our priority. This landscape is ever-changing, exciting and inspiring. A perfect place for design excellence. The above all play their part in creating design impact for your Life Science website. Good design helps you to visualise your knowledge and your data in an exciting and dynamic format. Balancing all elements for the best experience across all screen sizes. The connections and relationships between components, space and context, need to work in harmony with your website design. Your Life Science website design needs to distinguish itself from your competitors. A place to showcase your 'why' and your unique offering. First impressions matter and excellence in website design impact that first point of contact. You have a few seconds online to engage your visitor; great design works to build trust, a key component in conversions and influence. Your design must incorporate your brand assets and guidance document. This consistency in your branding on and offline helps with instant recognition, confirming to your visitors that they are in the right place. Developing a style guide and design patterns will promote consistency across all pages and content. Having a design style guide and a process of design patterns helps when multiple editors and contributors are adding content to your website. Guides provide a constant reference to make sure they are using the right elements. Simplicity in design can work well in the online space. Avoiding filling every area of the screen will let your content breath. Let white space work its magic on your Life Science website. Having the utmost in confidence when directing new contacts to your website is essential. You need to feel sure that they will have a positive and up-to-date experience as soon as they arrive. Your users can find what they are looking for quickly and efficiently while meeting the goals of your business. A well-designed web design interface that showcases your latest insight, products and services. Building your authority, selling your services, enhancing trust and returning investment. Visual design for Life Science websites needs to appeal to the eye as well as supporting your user experience. A well thought through visual design helps to reinforce the structure of your website hierarchy and aid in the journey users take through your site. It shouldn't be a distraction, but a support to the primary structure. People use their senses to gain trust. Design affects feelings. You may want your visitors to feel safe, confident, supported, informed. Use design to reinforce these feelings and help your visitors feel that the design and experience have been created just for them. Your design should reinforce your brand values, encouraging them to choose you over your competitors. It should help investors feel inspired, and partners feel reassured and confident. In the competitive and fast-moving commercial space of the life sciences and healthcare sectors, a memorable brand will work hard to attract the attention of clinicians and healthcare influencers both off and online – making it a compelling and relevant part of your business. A strong brand will set you apart from the competition, attract and engage new customers – and provide higher value to your investors. It provides you with the opportunity to register your IP and create an experience that differentiates your product within the marketplace. This can be important when considering how to protect innovative ideas – whether it’s a brand name or invention – as putting the relevant patents, copyright, registered designs and trademarks can save a lot of time and money. As primarily Life Science website designers, we have a concept development process that includes creating the design around your story and the bigger picture of your organisation. Your website design needs to be a unifying theme that holds everything together. Developing a meaningful concept is a crucial process that requires deep collaboration with you, our client, this includes a discovery session or workshop stakeholders holders. I cannot be produced on a speculative process. Concept development takes the necessary time to evolve through an inspiration and ideas process. True design should contain a certain meaning for your audience and present something of substance for your organisation. You need to stand out online. The Life Science space can be busy. Standing out can influence investment, partnerships and customers. Yes, your content, structure, interface functionality and technical features are incredibly relevant to the success of your website. But if these are not enfolded in a striking design of your site may lose the impact you need. We have worked with many businesses in highly technical niche markets, including Biotech, Life Science, GeoScience, Software, Energy and Nuclear. Delivering outstanding results for our clients. Arttia Creative is a collective of highly skilled professionals with many years of experience in each discipline. 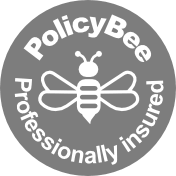 Our team ensures we always have the exact skills you need to deliver the very best project, every time. 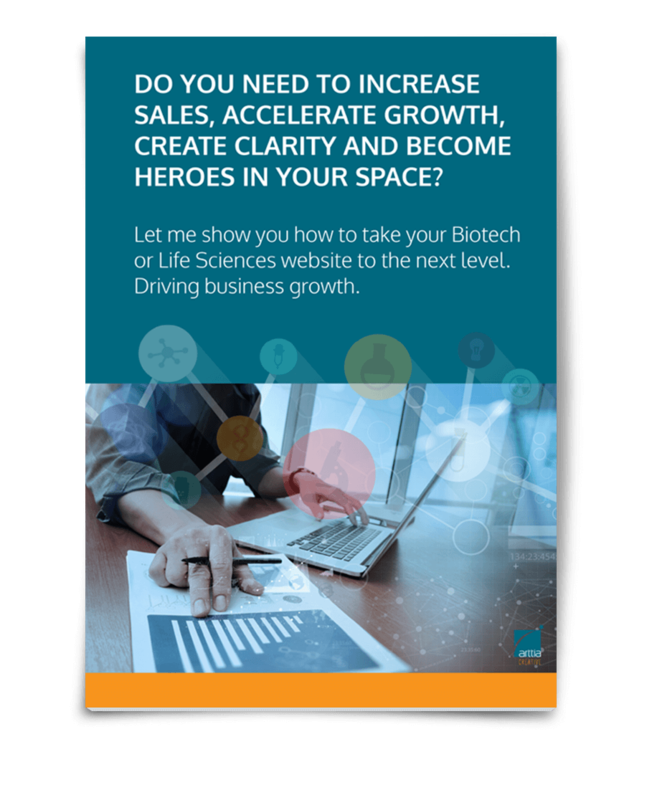 Are you ready to move your Life Science Website Design project forward?